Somewhere along the line, you’ve probably heard someone laugh and say sarcastically, “Smoking isn’t cool…but only cool people smoke.” It’s an old joke, and as adults, we can laugh it off, knowing it isn’t actually true. Our kids, on the other hand, don’t have the same perspective we do. 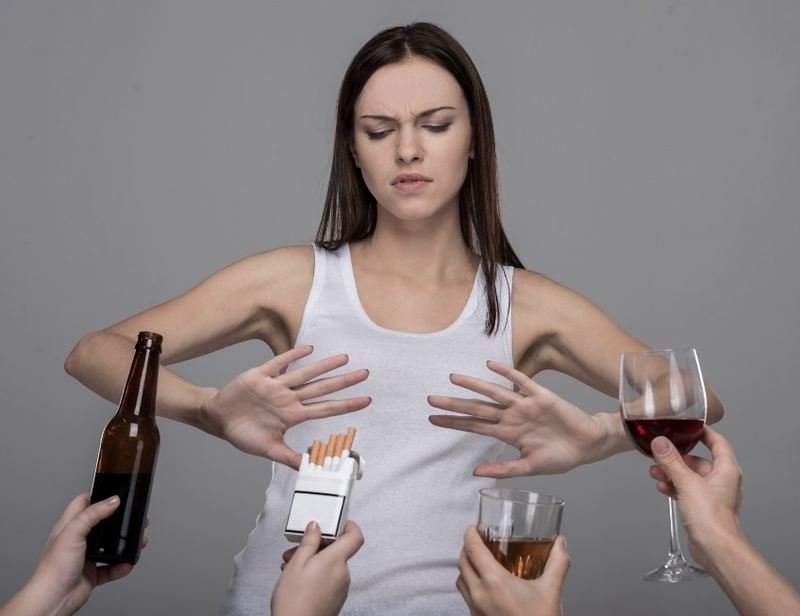 We know that smoking is strongly associated with lung cancer and according to MADD, teen alcohol use alone kills nearly 5,000 people each year. Unfortunately, children don't have the ability to see the pros and cons of these things as easily as we can. That’s why it’s important to talk to your kids about appearances of and references to these substances on TV and in the mobile apps they use. By age 12, you can bet that your child has had at least some exposure to alcohol, tobacco, or drug use or references in the TV shows and movies they watch, as well as in their online activity. That doesn’t mean that you have to let them watch media or use apps that involve frequent or intense references to this kind of material. As a general rule, small references to these things are OK starting at age 12, but frequent and intense exposure shouldn't happen until they are 18. But it's hard to tell which apps are dangerous. For example, Stereodose was originally rejected from the App Store because it allows users to share the best music playlists based on the mood and drug (such as ecstasy, LSD, etc.). Apple rejected the product initially but then accepted it after the app maker inserted euphemisms for the drug names. The actual drug names still exist in their Android app (and on their web site), but since the euphemisms were all kinds of candy, Apple approved if for use by 9-year-olds. For a more detailed look into the risk of exposing your child to alcohol, tobacco or drug use prematurely, look up apps your child wants in our app directory. Simply look up the name of the app in the directory, and you’ll get a breakdown of all of the potentially inappropriate content, images and videos in the app, along with a review of the app and why it isn’t appropriate for certain ages. The best way to protect younger kids from being influenced by early exposure to alcohol, tobacco and drugs is to limit their exposure and talk to them about the instances that they do see. To be perfectly honest, your kids are going to see people smoking, drinking, or doing drugs online or on TV. Even if they only watch cartoons and other kid-friendly media, some of the older ones show characters puffing on cigars when they outsmart someone. There are even portrayals of characters getting drunk and having funny things happen to them. These aren’t the best images for your kids to see on a regular basis, but they also aren’t always bad for your children, either. Scenes like these can actually provide teachable moments that can be really positive for your kids – you just have to seize those moments and talk to your kids about what they just saw. Stop and talk to your kids. Talk about how smoking is harmful or how drinking can get people in trouble. Then ask your kids what they think about what they saw. You can use this conversation to cement in their minds that these substances aren’t cool and that they should be taken seriously. So what if your young child wants to use an app that has a lot of instances of alcohol, tobacco, or drug use or references? You can simply explain to them that the app has a lot of stuff in it that’s not very positive and that won’t be good for them to see until they’re older. As your kids get older, you’ll hope that they continue to see smoking as un-cool and that they won’t see alcohol or drugs as attractive substances. Again, this is easier when they have limited exposure to media that glorifies drug and alcohol use, but the real key factor is you. If you maintain open communication with your kids about what alcohol, tobacco, and drugs do to people’s bodies and how they aren’t answers to things like stress or depression, your kids won’t feel like they’re missing out on apps and other media that romanticize these things. Tell your kids that you’re always open to talk to them and answer any questions they have. If they want to use an app that features a lot of alcohol, tobacco, or drug use or references, talk to them about how they see these portrayals. Then look at what our review has to say about the app. If you’re still not sure if you should let your child use it, go ahead and explore its features in the App Store or download it and explore the app itself before you decide to let your child have access to it or simply delete it from their device completely. Alcohol, tobacco, and drugs are all dangerous substances that can get treated entirely too casually online and on TV. If you follow this advice, you should be able to protect your kids and keep them on the right path.